When I first met ato Kidane Alemayehu, I thought we were auditioning for a rendition of the movie, Odd Couple. He was an Ethiopian and an Amara with a propensity of repeating the all-too-familiar “sameness mantra” I’ve heard all my life; but one that was unequivocally rejected by my own father and over twenty immediate family members who have proudly paid the ultimate price for Eritrea. I too was a product of my upbringing who did not feign any qualms of expressing hatred towards the Amara. Like my generation, I hated everything Amara, and took pride in not being able to speak their language. I still don’t speak Amharic, but as I got older and hopefully wiser, I am neither proud nor ashamed of it— just neutral. The first thing that struck me about ato Kidane Alemayehu was that he is a gentleman through and through. His nobility of character, decency, and integrity was evident; but, most of all, he was very open and honest on all issues. I liked him immediately; and knew instinctively I could work with him. As the founder of the Horn of Africa Peace and Development Center, he was looking for a few good men and women from Djibouti, Eritrea, Ethiopia, and Somalia. On our first encounter, and with a purpose of laying everything on the table, I told him blatantly how I grew up singing, “ab ruba ruba Tseg’I gobo amHaray adgi intezrekbo breney gere k’imbbo.” The song encapsulates our burning desire to avenge the wrongs committed against our people by the Amara. In all honesty, I didn’t even know the Amara look like us till I came to Khartoum, Sudan; I thought they all looked like Menghistu Hailemariam. The Horn of Africa Peace and Development Center is the brain-child of ato Kidane Alemayehu. The center is established to foster peace and development in the region. 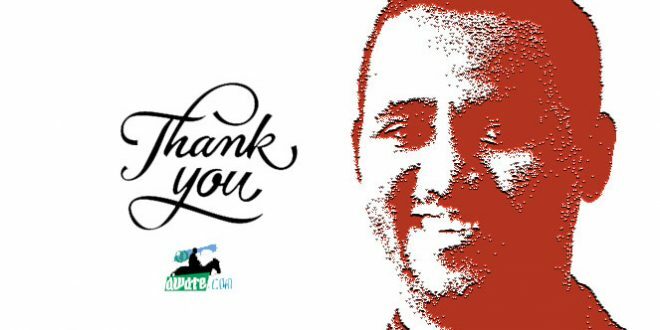 For the last seven years, I have worked with ato Kidane Alemayehu and many other wonderful people from the region and came to know him well. His passion for peace and justice for the region is real; he is a tireless advocate of regional integration. Ato Kidane Alemayehu and I have become good friends and, to my pleasant surprise, I feel reconnected to a lost uncle. Aya Kidane was one of the first to come and express his condolences when I lost my older brother, Dawit (May his soul rest in peace.) Whenever I call him, he would immediately say in his endearing Tigrinya accent, “Hi, Semere, Kemey aleka?” It is a friendship based on mutual respect—the same noble idea aya Kidane hopes to be the basis of a brighter future of the Horn of Africa. The following petition is part of his larger plan to right what was wrong; heal what was wounded, and unite what was broken apart. It is a big project, but he has a heart that is even bigger. Please sign the petition below and show solidarity for a just cause initiated by my friend and lost uncle, ato Kidane Alemayehu. Two European nations, Britain and The Netherlands, have finally come to terms with the demand for justice by apologizing to and compensating the people of Kenya and Indonesia, respectively, for the crimes committed by the former colonial powers over half a century ago. The Vatican is still being awaited to express its apology to the Ethiopian people for its complicity with the Fascists. The Italian government needs to pay adequate reparations to the Ethiopian people for the huge war crimes perpetrated by the Fascists in Ethiopia where one million people were massacred and huge quantities of properties were also destroyed. Looted Ethiopian properties still remain in the hands of the Vatican, and the Italian government. In addition to the formal and public apology, Britain agreed to an out-of-court settlement for the payment of $30.5 million at the rate of $4,100.00 compensation per claimant to a total of 5,200 victims. Thus, although the compensation is obviously low compared with the number of victims, nevertheless, the fact that Britain owned up to its past crimes against the Kenyan people deserves appreciation and, hopefully, leads the way for a more just settlement. What Do the Actions by the British and Dutch Governments Exemplify? The compensations offered and the formal apologies expressed by the two governments to the Kenyan and Indonesian peoples, respectively, reflect important principles of humanity and justice. Among other things, it clearly indicates the British, and Dutch governments’ admirable capacity to own up for their past war crimes. The actions clearly emphasize the fact that such crimes have no stay of execution. Therefore, even though the British and Dutch massacres and atrocities in Kenya, and Indonesia, respectively, took place over sixty years ago, the Governments finally faced their obligations squarely and apologized to the Kenyan and Indonesian people. The British and Dutch apologies and compensations also reflect their respect for the Governments and people of Kenya and Indonesia who had suffered a massacre at the hands of an invading, colonial army. 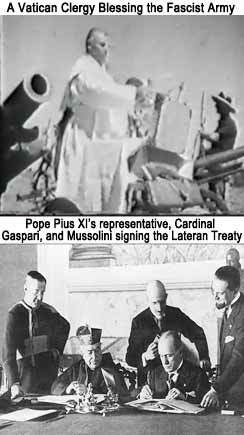 By their honorable action, the British and Dutch governments have set an excellent example for the international community, especially the Vatican, and Italy, in the war crimes committed in Ethiopia. Therefore, the governments and peoples of Britain and the Netherlands as well as those of Kenya and Indonesia deserve the fullest accolade for facilitating a closure for the atrocities committed during the colonial days. (c) Vast quantities of Ethiopian properties looted from Ethiopia. 5. The inclusion of the Fascist war crimes in Ethiopia in the records of the United Nations. The international community, including the United Nations, the European Union, the African Union, the Vatican, and the Italian government should take a leaf from the excellent example set by Britain and the Netherlands which have demonstrated their respect for human rights and justice by apologizing to and compensating the Kenyan and Indonesian victims of their colonial massacres. 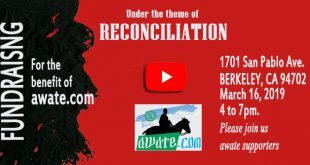 It is time that the Ethiopian people who have been awaiting the justice that has been due to them for over 75 years are duly compensated in terms of a formal apology, reparations, restitution of properties, and recognition as stated above so that, finally, a closure will be achieved. 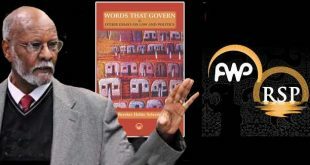 *Although the content of this article is the responsibility of the author, the helpful suggestions by Dr. Girma Abebe, Dr. Mikael Wossen, and Mr. Deneke Hailemariam are greatly appreciated.Kidane Alemayehu is a retired United Nations expert. Forgive, forget and move on. This Eritrean generation is stuck in the past, blind sided about today and the combination of these two, being stuck in the past and being blind sided about today, made the current Eritrean generation to forget about the future. Besides, this Eritrean generation tries to live in absolute terms which is the result of selfishness, ignorance, and over stated self evaluation . Unless Eritreans make a conscious effort to forget, forgive to move , they would have a long and hard journey toward coexistence. Amnanuel, Why do you think you are wise and better than anyone and at the same time you use words of disgrace?? like cowardice, dump mind, insensitive and trash people??? Amanuel, Most of the time, you seem to me you are emotional and have seen you doing this this for over a year. Mr Amanuel, Don’t forget that there is an end to you too if you continue to use the same words. that is a blunt lie, I myself made a tour on the compass of Asmara University in may 3,2012. the university was crowded with students and I conducted an interviews with those students about their major of studies. they were law students, Medical students and other graduate study students. so saleh come with something untrue that we may simply difficult to verify. Mussie, I once met a man who worked for a technical college, I think it was in the South. He said exactly what you are saying… he even said he has a relative who works at the adjunct faculty of the university. Nah, I don’t think those claims are true. *Is that Swedish by the way? Your mind as is as closed as University of Asmara. So listen up. There was a time when University of Asmara, back in the day, had college credits that were transferable, on a 1 to 1 ratio to Italian universities. (The Santa Famiglia days.) There was a time when University of Asmara graduates could have their credits transferred to universities in India, Japan and the West because it had curriculum, administration that accreditation bodies accepted. UoA graduates had an amazingly high acceptance rates to international universities because it had, by african standards, a great reputation. All those times were during a time when Eritrea was colonized. Now, when you were doing your superficial beles tour of Eritrea (whose only purpose is for you to tell your drinking buddies, “hey, I just came back from Eritrea.”) after talking to “medical” and “legal” students in Asmara in 2012, you were talking to one of the 8 colleges that University of Asmara has been diluted to. Do you know the difference between a university and a college? Please pause and take a break and stop talking about things you do not have a clue about. These medical, legal students you talked to, in your beles tour, have useless pieces of paper (they call them “diploma mills”) that cannot be translated anywhere else in the world. They do not meet the standards of international accreditation institutions. They are as useful as Nakfa: of very limited value and for a special locality and completely un-convertible. They do not meet any “best practice” credential. So, the one thing the PFDJ inherited from Haile Selasse and Derg, the reputation of university of asmara, it squandered and wasted and destroyed for some mindlessly political goal of: do not have a highly centralized, educated and potentially organized student population. You won’t believe anything I am saying; just wait for Hsur President Isaias to tell you that, himself, in a rambling interview at some future interview because you are one of those people who measures reality not by objective standards but by the oral stories of crazy people on tv. But, what matters is that you felt good thinking: “my government is developing the country, I interviewed the students myself.” If that rocks your boat, hey, go ahead, but don’t sell your ill-informed crazy here: we are all stocked up. Thank you, yrdaeka. And stop using the word “lying” because, clearly, you wouldn’t know the difference between lie and truth if it landed on your head. You are just a tool who thinks he is smarter than he is but you are just making a jackass of yourself. You said UoA is closed and Mussie has told you it is still working. Then by setting aside the ‘closed’ issue you jump on the issue of accreditation and the fallacy of difference between University and college. In course, it is good to hear you admit that by the way, you tell that UoA has popped up in to 8 colleges – good. So if UoA is working (according to you diluted in to 8 colleges) but with downgraded accreditation (I will come on that) are you not ‘lying’ for saying it is closed? If you admit that UoA is still working (ok – with a downgraded accreditation) and if another 8 colleges are also in place to produce citizens so as they can play their role in building the nation what goal are you claiming closed. Does your claimed downgraded accreditation qualify the UoA to be closed and dashed the entire new generation studying in UoA and colleges (by the way they are mostly learning through the same or revised Old UoA curriculum and mostly the same lectures) as non-existent or unqualified? I wish you go there and witness yourself what service they are giving in the Hospitals, schools etc… They are by no means lower than former UoA students unless you have the nostalgia of ‘Kedem neyru Timhirti…. Kedem neyra Xihay(sun)’. If the goal of the college or university is to meet the needs of the society, UoA and the colleges are in the right truck. And if the second goal of the same institutions is to compute in the international arena, the they definitely need to put much effort in place and should look on how to attain wider accreditation in the world higher education institutions. However, as we are debating right now a number of students produced from colleges of EIT, Adikeyih, Marin (Massawwa), Business (Halhale), Agriculture (Hamelmalo) … are doing their post-graduation studies in the very countries you mentioned as a former friends of Asmara University – South Africa, Japan, China, Germany and Holland (‘am telling you from what I know and heard from the members of Eritrea’s higher board of Education). This make your claim that UoA or colleges students are unlikely to get further learning opportunity just because the old accredetion of UoA is not in place is not consistent with facts in the ground. But I can agree with you (if your intentions is to build on despise) you on the need of extending accreditationf of new colleges in the international arena. 4. States like Eritrea have two priorities: to have first rate universities, lots of technical/trade schools to accommodate those who will not go to universities. (I have been a long-time advocate of the importance of technical colleges and I supported the “governments” efforts in that: those who majored in google diggology can find that 🙂 It also has an abiding interest in minimizing brain drain so students it has invested in do not leave the country either for greener pastures (normal third world phenomenon) or to escape the prison it has created (unique dictatorship phenomenon.) Your government is on the wrong track on both counts. Disastrously so. For example, read Ghezae Hagos’s posting on the disappearance of the law school and how 17 out of 25 law school graduates had left the country. But in a country that mocks constitution and laws, why do you need lawyers? All we need is “memrHi”: directives. 1. I think you are calling for a controlled debate which is difficult to maintain on such kind of forums. But if you wish please tell us your ‘neger’ and ‘gual neger’ typologies of issues and determine us on what/what not to focus. 2. You are right – you can have all bunch of information from whatever source you have through your gadgets, but that doesn’t mean you have the right information at hand. At least admit that the info. your political inclination usually attracts if not overwhelmingly but somehow is partial – no doubt the same is also true with me. What make me a bit different from you is i can add some real life (though not complete)info. and experience from my stay over there. Our info is = the bunch of information we get from different corners + our filtering or exaggerating political inclination + our first hand observation from the practical experience. I can dare i am partly better situated to sense the info. i get and some how to have better understanding of the situation in the ground – the differences is, partly practical experience versus mostly imagined. Still we, two of us, lucks one crucial thing to declare our info.s 100% right – we don’t experience and know them as are experienced and known by the very people over there. 3. ‘Closed’ as a word could not be that controversial unless some one is not clear by what he/she ‘closed’ mean.off course it can never mean locked or fenced. Sorry if i was not clear, but, when i tell you students from higher education are studding abroad i was really mean in a dignified universities and they are admitted through competitive standards not compromises. Check how EU’s ‘ERASMUS MUNDUS’, DAAD (German), Monbukagakusho (Japan) and NFP (The Netherlands)competitive scholarships are, and go through their Universities (including the South African ones) admission requirements (most of them are in top 200 ranking of ‘Times Higher Education World University Rankings’). Then leave your speculations about how this students are there and be sure they are because of their qualification, their qualified diploma’s and the collaboration of Eritrea’s Higher Board of Education. 4 and 5. Pardon me for not responding to some of your ‘typical coca cola elal’ of this portion. However i can give you this response, meant for your #4 and #5 bullets, briefly. It is not about personality but Gezae Hagos could not be eligible source for me for things that are happening in Eritrea. No matter how in the same map he is with you with regard to his political inclination the source of any info. is always as relevant as the info. itself. You see, watching Syria through CNN, BBC, Press TV, CC TV and RT TV is like observing Syria through different degrees and lenses. That’s why we all need who the source is and that’s why i polity fail to wear your’s or Gezae’s glass in this matter. That means i have saved my life from seeing Eritrea through the imagined, unsolicited, ill-conceived and blurred lens – oh i know my lens could not fit you – i am shortsighted . * The following attachments may support our discussion. If you may not have enough time just give a look to the introductory part of the first attachment only. It can adjust to both of us equally. 1. Norwegian Agency for Quality Assurance in Education (NOKUT)report on 2012. “The University of Asmara’s main programme were the diploma programme and the bachelor degree; and was only able to introduce the master degree programme in 2004 just before closing. These guys are telling not just that it closed but when it closed. Your point, as I take it, is regardless of the name of the institution, the product is quantitatively and qualitatively better. I bring my sources to argue the opposite, u bring your points to make your case. That’s the very definition of debate and I welcome it. But it is the wela tinfer Tel iya halewlew (denying an institution is closed when it had a TEACHOUT and would not accept new enrollments) that I don’t want to waste my time on. Regarding Ghezaes credibility as a source, would you consider an exiled Eritrean pilot as a good evaluator of the Eritrean Airforce? I would think so because that’s a tiny elite community where everybody knows one another. The law students in post independence Eritrea are just as few and u may want to reconsider your “I don’t agree with him politically, so everything he says is wrong” type of assessment. As for the neger and gwal neger, I think u are well-read enough to know ( despite your “oh pardon me, my English not so good” protests:) that if well over 90% of what’s written deals with Subject A, then Subject A is the neger. In this case the arrest without trial, charges, sentencing and the death of Germano Naty. The world will not come to a screeching halt, your Eritrean nationality will not be revoked if you say: That. Was. Wrong. When I read Mussie’s “I saw Law&Med students there it is not closed I swear!” type I feel pity. When I read yours however, I take strength from the fact that there once were a people who superbly argued in favor of: Rwanda genocide, Holocaust, Serbian atrocities… Their evil stench has long blown over. Am I exaggerating? Time will tell, very soon! Let me challenge you head on: Forget “accreditation is degraded” and so forth craftiness.. I say to you that the UoA is CLOSED, SHUT, NON EXISTENT! 1 – The Law and Medical students are housed at the old UoA building. And that is not the same as UoA is running a Law and Medical studies. Why do you want to mislead? 2 – The UoA is uoa.edu.er handle is removed and not listed with as one Eritrea’s HEd with the IAU (inl. body) like say http://www.mu.edu.et does in Mekelle (just to serve you a comparison). 3. The Diploma certificate (with UoA coat of arms) is discontinued and replaced. The new collages have no connection, relation or what so ever with UoA, just took over the building. Hamelmalo was built to “relieve the crowded dormitories”, just like the PFDJ companies were set up under Hidri trust to look after veterans and martyr families and ended up taking over life as we know it in Eritrea. UoA does no longer teach, graduate… It is just used in name along side obsecure loan applications that the corrupted regime makes with the the world banks, china and other bilateral. 1. Educause is the gatekeeper of the .edu domain. 2. The National Board for Higher Education (currently borrowing the uoa.edu.er handle) is the national accrediting body of IHL. Speaking of Mekelle, I see still images of Mekelle’s universities whenever I watch Tigray music videos. I fume when I do considering how dreadful a “government”, a reverse-Midas-Touch government we have. No, no, before you Ethiopians and Ethiopile Eritreans lob your bombs: I am very happy for the long-oppressed people of Tigray, and good for them, I hope they quadruple their institutions of higher learning! iti guday “zeyqenie ayweled” iyu. * please don’t do it all at once; its bandwidth can’t handle it. “Time will tell, very soon!” … Ferihna ember http://awate.com/wp-includes/images/smilies/icon_smile.gif How soon please? Let time tell soon please!!!! Please. Eritrea has seen a change in its higher education system in the period 2004–2010. However, this reform is not a change in the system itself, but a change in the number of institutions offering higher education in the country. The system of diploma-, bachelor- (and master-) programmes has remained more or less the same, except for the fact that the number of programs has increased. attending programs at the new colleges of higher education today. 1 – Those Norwegians went all the way to Eritrea to find out what its higher education is all about. Many Eritrean asylum seekers arrived in Norway claiming they had some higher education experience in institutions that are never heard of. Obviously they wouldn’t have needed to do that if their qualifications was from UoA, as it would have been transferable right away. The other problem is also that none of Eritrea’s technical schools have ever issued a final Diploma for any of their past students because the regime claimed that it had no hard currency to purchase the type of paper and embossing needed to do so! It is all in that document you linked TODAY and I linked to Sabri months back. 2 – Their mission was confined to ascertain what the asylum seekers had experience with. They also said they only had a short time to assess hence it not be taken beyond the intended purpose. If their report merited anything how come it didn’t result in inl. recognition? European recognition? even African recognition? I guess the regime didn’t care to apply for one:) Nooop! actually the head of EBHE had said to VOA that they did apply and he is hopeful he would get recognition! No sign yet though. 3 – Eritrea had UoA that was internationally recognized, it could have easily expanded it to include the newer one’s like you tried to snick it in your earlier claim but then found a link that contradicted you. No it had to shut down! It is not even as if we had another such institution that we could dispense with UoA. No we had none. The regime could have easily kept few departments running to maintain the status until the new one’s are ready. No it had to shut down. It was urgent that the Eritrean people needed to be stripped of any form of dignity. So it had to shut down. 3 – A group of African scientists had evaluated the standard of Hamelmalo few years back (I have the link if you need) under the research and development standards assessment for a grant/loan from the African Development Bank. They really poo pooed the standard research activity there. It has long way to go. No problem with that. The young people there just need to work harder and some opportunities that is all. But they can’t do research collaboration from Eritrea, it was shut down. 4 – Several countries have agreed to development aid involving skill development. Hence took a quota of students from poor countries: Japan is one. This is not a recognition of the standard of the institutions in the recipient country, rather a recognition of poverty and need of assistance. If you need recognition, you apply for one. They did. They still in the loop. They need to look how Meckelle University made it to a center of collaboration with global institutions in over 80 different fields of study and at all levels of higher education. Meckelle Uni is only 20 year old, way younger than UoA at the time of its murder. The regime had an internationally recognized institution that it shut down. It then applied to get an international recognition which is slow in coming. When it gets what it had, thrown away, asked for again, you can jump wesede jigna wedi ere. What you did is also the same: By putting their claimed findings aside, you narrated me about what takes them all the way to Eritrea and the challenges they encountered in the course. Of course every study, research or investigation have a deriving motive and should to pass through constraints to meet its goal. In this case the goal rests in the findings, and the very finding of the team is the one quoted above plus that one myopically chosen by Sal and adored by you. So far i have not commented on it may be now. 2. You seem you are more concerned about the accreditation of higher educations in the country than the Gov. and to be precise than the designated authority – EBHE. I don’t have any doubt that the prime goal of EBHE is to make sure the institutes exist and give service to students and the nation, to maintain the existing inertia and build on it, and of course through this route to acquire better position in the international arena. Contrary to what you claim so far no one has blown UoA’s accreditation (UoA deploma/ even the earliest one – I mean after you declare it is closed – are also acceptable everywhere) and on top of that EBHE accredited diplomas are equally humbled by lots of higher institutions in the world (I have mentioned to Sal where EIT’s are in numbers for post-graduation studies). And I am glad to learn from you that EBHE head has said they are working to acquire accreditations for respective colleges and institutes at this part of the time. You see they are rightly putting the horse before the cart than doing the viscera you wanted (first constitute the institutions with the UoA inertia, consolidate them and acquire deserved accreditations). By the way I am sure it would not be news for you to learn that a number of today’s competitive universities from the south had acquired that ‘international accreditations’ decades later for the usual reasons of thinking and learning control from some quartets of the world. 3. I really appreciate your wise comment. But I can sense a difference of prioritization between you and the decision and implementation body in Eritrea. For you the sole priority rests on securing that accreditation and for them the priority was to multiply that single university by seven without losing ground both in home and outside. That is one but the major difference between you and them is another. They know their goal, the resources they had, the anticipated challenges, contingency mechanism and above all they had determined citizens to face that challenge with that very meager salary. In the other hand you are ‘the gave up’ (according to you) and decide long time ago not to put your stuff there (good stuff like sacrificing life, opportunity or in kind). So how come do you expect them to think the way you ‘gave up’ think – actually you are not the only gave up the country have. You see what they did – they multiplied that one University by 7, the number of higher education beneficiaries by more than three, resumed the same or partly revised curriculum, retained the validity of their diplomas in the international arenas and sent students to a number of dignified universities, and at last requesting accreditations for respective institute and college. Let them do that, let them do the usual thing – keep putting the cart before the horse. 4. Ah Hailat… hahaha… ‘nay coca cola elal’ is ‘nay coca cola elal’… You know no matter where that coca produced it doesn’t change the ‘elal’, ingredients and the owner – Coca Cola Company. Hailat ‘nay coca cola elal’ doesn’t mean anything to me but unsubstantiated and sometimes ‘colel ab tirke mirki’. Suffix about it – because it is ‘gual neger/megedi’ as Sal has to say. 5. Hailat Arkey – I am not that obsessed about where and how this government will go or fall. So long us it manages to keep the country integrated and defended the interest of the majority in the country it will have my back. If it goes otherwise I am confident the people would not allow it to stay one night. This is not about Issaias, it is about Eritrea. Issaias is human being and mortal. He has done his best to the country (though we can agree or disagree on a number of the measures he took – and that is natural) and will exist sooner or later resting his name in the annals of history. This is natural thing and doesn’t merit discussion. 3. Close UoA (close = teach out existing students and no longer accept new students in the new semester) and create an entire institution from scratch. Seek new programmatic and institutional accreditation. Maintain the UoA name for funding purposes. Meron, what I am telling you is that of the 3 choices above, option 3 is the least sane and it also happens to be the one your government (which is to say Isaias) went with. Why? Here’s a hint: Isaias Afwerki was the Chancellor of the University of Asmara from 93 to 2004 (when it closed.). I can tell you from personal experience that Chancellors love graduation ceremonies (the happiest day for students and their proud families.) In those 11 years, the Chancellor did not attend a single (not one, zero, sifr, nada) graduation ceremony. He loves soaking up the attention and the salutation of men and women in uniform, but not university students in caps and gowns. In my assessment such an insane decision can only be an entirely personal grudge-driven decision, particularly after the protests of the “ingrate” UoA students in 2001. Of course, you could prove me wrong by sharing with me and awatistas the contemporaneous notes, minutes, meeting notes of the committee that was put together to manage and implement this change. It’s surveys, interview, call for comments, and it’s make up. After all we shouldn’t personalize things and say Isaias makes all the decisions. Surely, there was some ad-hoc committee, some advisory committee set up to assess, evaluate, recommend, execute. Can you tell us if this happened and can u share its notes? – not exist but exit (exit sooner or later resting his name in the annals of history. This is natural thing and doesn’t merit discussion. You can put what ever sign you choose but opposing isayas wont make you automaticaly the correct one. Plus follow Your posting guide lines and focus on the theme. I will repeat again when i Write comment the irritation of ‘Gadi’ is not my concern at all. If he gets irritates by me how the hell he is reacting for not ‘observing’ Asmara Air Port or Asmara University after Eritrea is independent. Other wise i pay for one Niala packet when he visits Bole Air port or AAU if he buys his sigarett from a 10 year old boy. What does it take to get you understand the difference between, border line and a nation. Ethiopia proper, the interior of it, the people in it, are not not put together or their culture influenced by colonizers..The fact that you allowed colonizers to sleep next to us had nothing to do with how Ehiopians became Ethiopians. The funny thing with you people is, you try to mock Ethiopia’s 3000 years old when you need it to excuse your early death, and you reduce it when you feel poor about your short history..you can’t have it both ways baby! Here is the funniest content, presentation, synchronization from ERiTV. The UN is incapable of living up to its founding principle and it’s Charter because there are superpowers running it. They enforce its charter when it is in their interest and ignore it when it’s not. The World is demanding a shift from a unipolar world to one where decision making shifts to all. The PFDJ is incapable of living up to its founding principles of democracy and justice because there are an unelected clique running it. They say we have a ratified constitution when it suits them and say “it’s not the right time to enforce it” when it doesn’t. The people are demanding a shift from a dictatorial system where decision is made by one man with unlimited powers to one that surrenders that power to the people. PS: The Tinglish department was retired in translation of “unipolar.” Tsk tsk. In the countless debate and suggestion there is one key issue which is totally forgotten. That is isayas is cornored. It is difficult to see reality in his feet but easy to analyse from experince of leaders Choice who were in his feet. What Choice he has? What he is doing now seams a sucide atempt including Eritrea or his desparate measurment for some Cure like the late effort in sending Messages to some leaders and his untimely Marathon interviews. With his ego and being a leader for all most all his life the Choice left for not being a leader is not on the table at least from the opposition gruppes. I know this is a very delicate matter. The ICC is like a luxury when one thinks of isayas crime. But to reduce the destruction both on Eritrea and Ethiopia which followed on the process of his removal, i strongley recommend a safe path and pention which can be compensated from the destruciotn which can be avoided. Done is done. Who knows one far far day from now he may say ‘i am sorry for what i have done’ if he replaced by leaders who can make Eritrea a better Place to live in. A – Residents of zoba maekel complained that water distribution is not carried out effectively. B – Residents of zoba maekel called on the government to run a responsible and accountable governance and make national budgets and state financial records be made public. They believe that the government’s mismanagement of national resources is at the root of the current shortages and problems in water and electricity services provision. Which of A or B type criticism are you talking about? [A] fake and diabolical or [B] democratic and bold? It appears you have made your choice to dispense with the well being and betterment of your people for fear of calling a spade a spade. Even asmara’s lampen argument that opposing a regime because your fortunes took a turn to the worse is a bad thing may be excused for abject ignorance, yours is crafty. It would take probably till kingdom comes for asmara to understand that many governments routinely get voted out or violently overthrown due to the fact that the fortunes of citizens took a turn to the worse. Let them chew and grow on that – I mean asmara. You say there is nothing one can do from a far! So you are telling me that the regime didn’t present its response to the UNSCSR report on HR via ESMART – a diaspora based constituency? So you are telling me that “Eritreans residing in such and such country have expressed readiness to …” is not a staple news headline in Shabait? You obviously don’t think that many heroes of the independence struggle are killed or disappeared – they don’t deserve a day in court in a nation that they sacrificed all those things you embellish the criminal regime with? You argue for a nation that would smother and kill her children – that is your right. I am glad you had a great time over there, recently, someone I know has crossed to Sudan despite me wanting them to stay there – the person was in business and tehagiru [lost his entire earning that he made over a year!]. Here is the last thing he told me in response to my request that they stayed a bit longer “gdefena bejakha Nhizba zeytkhewn adi eya ezi’A ba’Ela tfelT”. He was such an energetic and imaginative young person. Why don’t you just come out and say it – forget the people, power to the regime! I can sense your feelings when I raised the ‘national issue’ case. Once you have seen the allegation against Snowden or for that matter against the leaker to weakleaks or the games against Assang you can be overwhelmed with questions than answers. Correct me if my understanding is wrong but I feel that question, the national security issue, and where its red line should fall are among the most controversial and debatable issues all over the world. So you can launch or resume questioning and suggestion on who have or should have the power in that regard? who have or should have what information? how should that information be processed and accordingly what and which entities should take actions? Of course this is not a one round journey and you cannot say it always will fall on deaf ears – provided that you are not part of the destabilizing missionaries. I don’t think either of us has the info. on what kind of blunders or treasons are done in the name of political change and or what blunders are done in the name of containing treasons or national security. However there is not doubt that even the most classified documents will be disclosed time and if God willing we can have better observation of the past and the current time. I hope the classified documents or intrigues of the sellouts and the Weyane puppets will also be surfaced to air in detail – (if by any chance they some that is not disclosed in their seasonal fights in the cyber world. Let’s put aside the conspiracy theory now. National security issue is number one and will remain the same – actually it is true everywhere. The good things is the measures so far taken do not harm the nation, they have extinguished the parochial politics of the earlier struggle and hindered the destabilizing and divisive factors of some power mongers against the odds and conspiracies set by the hegemonies from the north. For you the government is in diaspora and the diaspora Eritreans can overthrow it when relieved from their ‘confusion’. For you the national bus has stopped long because some people have not appeared in the court and your friend’s property is seized (Gumruk Azekirkani ). For me the bus is moving, yet with lots of challenges, toward a better tomorrow for millions. In its course it will change spare, controller and even a driver – Time! Off course that but has to keep its service, when needed it should be rejuvenated however could quit holding spoilers accountable. Thus, there will always be prisons and prisoners alongside churches and worshipers, schools and students, hospitals and users.. you go on… Certainly you will ask me about the competence and perfection, Rome has not built overnight could be the answer. Please put the ‘Tirkemirki’ issues of one like your friend or your brother in that basket. ‘Tehagiru’ do ilka – Intay geyru ke’a nibleka’. If such issue are big for you please try to come up with a genuine answer for what led the municipality to frozen or confiscate your friends property, then we can have genuine debate. First of all, let me thank you for your tone. Usually, we (in the opposition) are used to insults to top our injuries and I appreciate your restraint. I will not mention the case of my father, or my brother or my niece who are in jail. Some may see that as being “too emotional” (although if u can’t be emotional about that, I don’t know what u are allowed to be emotional about.) instead, I will give you a 12 year old case: that of Germano Nati. You are talking about redlines. The government has crossed so many of them: arresting people without charging them with a specific crime. Giving them their right to defend themselves. Sentencing them. All these are “legal rights” that u can find 1,000 excuses how a poor country with no functioning legal system can afford. 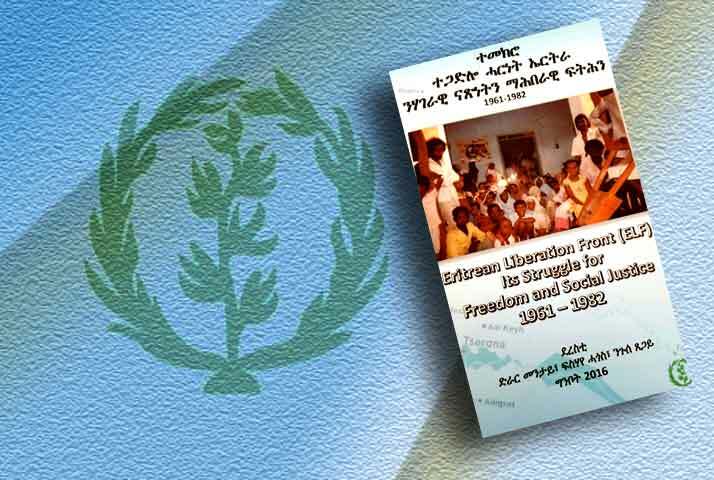 (Legal processes that even Eritreas enemies, Haile Selasse and to some extent, Mengistu honored.) But what exactly is the reason for not telling the family “Germano Nati is dead?” Why is the government so cowardly and so lacking in basic decency? You are well-read enough to know the expression “Mussolini made the trains run on time.” Brutal, but efficient. It made people close their eyes to his authoritarianism. What we have in Eritrea is a government that is brutal and criminally incompetent. Look, it is your right to support it, because you see things I don’t about what it is doing to improve the lives of ordinary Eritreans. But shouldn’t we as citizens rise over a party, whatever our party, and demand a minimum level of dignity be guaranteed to Eritreans? What justifies the case of Germano Naty 12 years later? And the pain that tens of thousands of Eritrean families have to endure? What is “too much” for those of u who still support this criminal government? Is falling below the standards of Haile Selasse (who allowed legal representation) and Mengistu (who allowed family visitation) not low enough? Not to be hyperbolic but aren’t you, government supporters, making a farce of the ideals of our revolution? I really feel sorry for what happened to your family.I have my share of blame to the government (president in this case) for letting that crab – Ali – do all the mess his did in the country (i refer to Amanuel Mahdre and other accounts) and cause his family’s arrests in the reason only knows by the security agency. On your followed case, we can go for long debate on what treason means, how it was managed in the past, what political culture and commitment is there in place for that matter, how should it have been handled, who is right or wrong… Such issues are and will be the hub of the debate for us – non-insiders in the system. And no doubt this also is part of the package of insiders formal and informal discussion. Thus, let me not discourage you from resuming that discussion; and similarly let them – the insiders – deal with the political culture they have and do/evolve for the better interest of the country. Nevertheless , i don’t like to hold every discussion about the country on the case of few people while lots of issues are in the plate to deal with the lives of the millions people all over the country. You have offered me few examples to compare the existing system with Mengistu and Hailesilasse. I advice you to go back to some of your encounters with Iyob and Hayat and to reread the atrocities made over thousands of innocent civilians by those crabs. Then i will expect you to explain me what justice and system was applied to kill the innocent people in villages and the dates you mentioned let alone over the political prisoners. Let’s not misrepresent history to win a piece of debate while you are already a winner. By the way, let me tell you how please i am to have this discussion with you – just because i feel you have better integrity and conclusions(positions) about Eritrea in this web. But i hope the fact that your brothers absence from the system and detention of some of your family would not compromise your positions. 2. Haile Selasse and Mengistu were considered enemies of the Eritrean people. But even they (when their armies were not firebombing villages) had a court system that allowed for charges, accusation, defense, sentencing, family visits. I am telling you the Isaias regime is failing even the low court standards of Haile Selasse and Mengistu and you are focusing the conversation back to the terrible things they did. Are we supposed to be grateful Isaias hasn’t burned down entire Eritrean villages? 3. Whether I win or lose a debate with Eritreans about the lessons of history is not as consequential as me trying to persuade people like you (government supporters) that you are empowering and legitimizing a brutish and predatory regime and therefore, by definition, participating in punishment of the people. That’s the one I am working on… And it’s like watering a rock… 🙂 I am not calling u a rock; I am describing the difficulty of the task at hand: when people equate demand for fundamental change with disloyalty, it is a hard thing to ask them to join the call for fundamental change. For how long we will debate with these fake names of cowardice, soulless, and opportunists who lacks humanity.You tried to open their dumb mind and they are trying to shutdown. So here is unsolicited advice and that is – tell them that for everything there is an end to it, for everything there is a season and shut them up for good. Frankly speaking it is not worthy to respond to such trash and insensitive people…..we have done a mistake to respond to them for so long and are spewing the same thing. Remember if their boss changed his mind and started to talk with the so called enemies in their mind (TPLF), they will turn 360 degrees with no question as to why he (the devil) is doing and why they (cheer leaders) will revert to his new dance. Count my word. They don’t really understand the complex geopolitics of our region and the interest of international community at the gate of Bab-el-Mandeb for trade and commerce. I think it is indirect your response to me about the” too emotional” I told you the other day. Saleh let me tell you a situation of min that have identical similarity to yours. My brother like your brother Ali Abdu was an official in the Eritrean government serving in the foreign ministry including a foreign mission in two African countries, then He become ill just like your brother Ali Abdu and the GOE let him go abroad for advanced medical attention. all his children except one daughter was in America legally just like your Brothers children(except your brothers I believe are in Canada)then without my brother knowledge and consent my family members(Including my sister) try to smuggled out illegally of Eritrea my brothers daughter and got caught by Eritrean law enforcements. they admit their mistake and served their time for that. my niece is now united Legally with her parents in the USA after eight years of the incident by following the Emigrations law of Eritrea and the USA through Nairobi Kenya. so it does not matter who’s Daughter or nieces are if they violated the countries law they have to pay their wrong doing. yes, your Brother Ali Abdu just like my brother I don’t think approved the Illegal smuggling my family and your family tried for our nieces. was I sad for the unfortunate situation my family got themselves in? sure I was devastated, but I did not go around and point my finger and blame the GOE for doing their job. I do not think my Brother and your Brother Ali Abdu do either. that is the reason I told you to take deep breeze and not to be too emotional. the law is the law no matter whom ever break it. the other thing I want to comment is the story of Germano Nati you gave us. I am not going to argue with you what crimes germane Nati and co committed and where are they. that is for the GOE to answer not me or you or any one else for that matter. but concerning Germano Natis children you gave very interesting story. a month or so a go I heard Germanos son Jonas Germano Nati confronting Qurnelos Osmann and his lies in tigrina live talk. yes Qurnelos was accusing Jonas Germano Natifor refusing to join his (Qurnelos) group to fight against GOE in Ethiopia and Qurnelos said, after Jonas emigrated to the USA joined the YPFDJ even do the GOE keeled Jonas father Germano Nati according Qurnelos. then Jonas Germano Nati blasted Qurnelos by saying you qurnelos do not know about my father and you are the one who is keeling the Kunama people and not the Eritrean Government. Jonas named all the Kunama youth who been keeled by Qurnelos. to my surprise qurnelos admitted his terrorist group crime by justifying that the war refuge children of Kunama Violated his law. Jonas responded by asking Qurnelos who gave you the right to be the law enforcer in Ethiopia as well in Eritrea to keel incent kunama people except by being a terrorist animal. so Brother Saleh I heard with my own ears from the horse mouth the son of Germano nati. what the Jermano nati son feel about their Eritrean Nationalism and their Government unlike your mama dram screen play presentation. We have a difference of opinion. When a government (a) arrests people; (b) doesn’t tell them what the charges against them are; (c) doesn’t give them the opportunity to defend themselves; (d) doesn’t tell them what their sentence is (e) doesn’t allow family visitation rights, I don’t think the government is “doing their job.” Apparently, you do, and we just disagree. 1. Germano Nati was asked by the government to find out why the Kunama in Barentu allegedly sided with the Ethiopians in the Third Offensive. Germano was a student at the University of Asmara* then. 3. Germanto Nati was assigned to Asseb. He rejected the assignment and went to Barentu. 4. On the day they came to arrest him, the security officers circled around the house twice before they could work up the courage to deliver their “tdle alekha” instruction. 5. That’s the last time the family saw Germano Nati. They inquired about him; but those who are supposed to give him answers, had none; they had their own questions. 6. Yonas learned of his father’s passing away from the testimonies of a guard at Eira Eiro who escaped to Ethiopia. * closed indefinitely. The only internationally recognized institution which, at one time, was so good you could have most of your credits transferred to international universities, is closed. “‘Tehagiru’ do ilka – Intay geyru ke’a nibleka’.” Ok, here is a deal, if put up with with few intro words on what you would undoubtedly would also consider Tirkimirki, I promise you to give you the a complete lowdown on what he did and an eye opening insight in what you sound to have missed to grasp during your visit in today’s Eritrea. Here goes…. You have earlier asked as to why the Eritrean people are staying put with the regime despite my claims that they all oppose it. While back home in Eritrea, in early September many Eritreans were stranded aboard a faulty dingy of the coast of Malta in the middle of international waters. There were pregnant women and a two week old baby with them. After negotiations, they were let to land on shore on Maltese territory. 95% of thousands of victims in Sinai are Eritreans. Tens of thousands Eritreans are in refugee camps in Ethiopia. Tens of thousands in the Sudan. Tens of thousands in Israel. Tens of thousands scattered all over the world. Many Eritreans are in jailed, killed, disappeared. 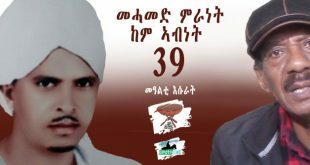 Many Eritrean tegadelti were detained, disabled veterans were shot dead on the Nefasit road and many detained and had to sign letter of apology for the crime of asking better living conditions. Thousands of UoA students were detained in Wi’a and many abandoned their country in South Africa. Many Eritrean sportsmen and women deserted, so did many high ranking officials. Today, people are paying 300,000 Nakfa to corrupt officials to obtain exist visa. Eritrea’s high ranking military commanders are accused of involvement in human trafficking and evidences to back up those allegations have been registered at the UN (read latest SEMG). There were Serbians who approved of the Srebrenica massacre where 7000 Bosnian Muslims were slayed, many Rwandans approved of the Rwanda genocide, many Ethiopians approved of the Red Terror, many Germans approved of the Holocaust. You are not by any means the first nor the last to stand in defense of an open and brutal violation of the rights of fellow citizens. Rest assured, history will be the judge. But this will never wash away. Can you tell me how your trip to Eritrea would have been messed up if you didn’t exchange Nakfa the way it is normally done. 15ERN for a $1 would have seen you buy a cacke at the pyramid for $1 a piece (15ERN per one) and bread for $.20 a piece (3ERN a piece) and gasoline @ $4.33 per lt. Well, I hope you decided the sensible route, that of looting the nation and exchanging at $1 for 55 ERN. But, that is really a problem, because for every services and products that you received, what ever the nation had to pay in hard currency to obtain is lost. Just as IA told you, there is no fuel you can purchase using Nakfa in this planet. If you had coffee in bar with that money exchanged on the black, think about it. The bar had to boil the coffee using electricity, the electricity has to burn fuel, the State has to purchase fuel using hard currency. You see the little fix it can get us to??? Eritrean government is in diaspora, that is where all of you hagerawiyan:-) are busy challenging people with legitimate questions. I don’t consider myself beles, because I know the real deal there. Nor do I have any big interests there, I gave up long ago. But am actively in touch with many people who do. I can’t say 100% because I don’t personally know you, however, if you are an ordinary Eritrean, then I wouldn’t take much to have you disappeared in Eritrea for some one who knows the right line of connections to do so. Trust me, that is the reality. I still have to thank myself on your behalf for making you back to your comfort zone out of that hot discussion where you were almost unusually silent. Here we go again about your claim to Eri and its animosity to the Gov. According to you the people are all the way from Sudan, Ethiopia, Sinai, Malta and all over the world because they hate the very government sited in Eritrea. And are thousands and thousands in number. If so what do you think that makes them to remain silent from expressing their animosity? what restrained them from waging a revolution against it? what makes them to go all the way to the developed countries instead of facing the gov. straight, move it and live a decent life in home? What makes them to flock to gov. organised programmes in huge number? what makes them to go back home few years after they desert it – from Sudan, Israel and all over the world? Is that the reason behind your labelling everyone in the diaspora ‘confused’? Where can we rest your claim now? Ah please pardon me for my ‘confusion’ and silly questions – I am a diaspora Eritrean. This doesn’t mean by any means that there are not nationals who adore to sleep with enemy, sacrifice even the entire nation for cheap and parochial reasons, grab fame in the name of activism or oppositions, and not feel sorry for betraying or to betray. There were collaborators when Alula was paining Eri villages; there were sell-outs when Italy was massacring innocent Eritreans; there were betrayals when ‘Haraka’ was conducting its underground movement; there were treasons, betrayals and working for the very interest of the enemy when the brave fighters were in Meda; off course the same is also true now so where should you or me locate ourselves – your or my context. Back to your friends case, apart from proving me right through exposing that your friend was in an illegal move and caught red handed just because he couldn’t get the wrong person (for you ‘right person’) in his way, the rest of your info. is a typical ‘nay koka kola elal’. Your friend is responsible for his illegal act, and the right man you allege ‘wrong person’ for not endorsing your friends wrong deeds has done a very good job. By this very argument you are contradicting yourself with your beloved argument with regard to the exchange issue and fail me to understand your moral superiority on that matter. Don’t try to justify your friend and the illegal things right by sharing the blame to some bud guys in the system. We can debate on the current rule with regard to the exchange rate and agree or disagree in the course. I wish you have a prove for your claim that 09 doesn’t pay tax at all. At least if we take the transit issue to Sudan and we agreed on 09 connections to it, we could easily conclude that 09 is paying transit tax in hard currency. But what matters most for me is what really 09 do import. And you will find it to be the only entity interested to import the items prioritised as basic needs for the country by the Ministry of Trade and Industry. By the way this items are open for everyone to import. Haile, you told me that you have given up about that country and may be you have nothing to worry about over there. I don’t understand why you, the gave ups, say lots of blabla than those who are doing or trying to do their part. I can come up with the list of gave ups – some never joined the national journey, some deserted in early 70th, some late 70th, some 80th (all far before the independence), some 90th, who usually consider struggle for their barking after every gov.’s move. . . let me leave that there. 2 – Most things in Eritrea are conducted outside of legal practice. Eritrea wouldn’t exist otherwise as we speak. The SEMG report had to revert to intercepting phone lines, emails, and other communications. An Eritrean national is facing investigation by Norway police as we speak in relation to the activities of the regime. Many institutions in Eritrea buy fuel in contronband to run their vehicles. The country’s economy is in a mess. You will be fool hardy to invest in a country legally, where the black market valuation of the currency is more than 3X the official rates. This is why I said I gave up in thinking of involving in that sector. You ARE IN NO POSITION to strip me of my birth right as an Eritrean. eta gudguwad men kemzAtwa knrEy ena!!! 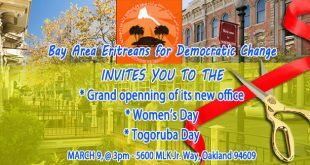 3 – Eritrean communities in the diaspora have long been muzzled by regime operatives and all their activities contracted out to Awehahadit Be’alat run from the regime embassy. People are afraid of losing their right to connect with their families (most) and simply avoid the communities. Thanks to the flourishing Orthodox churches the grip has been loosened. 4 – All African countries have basic grade education free, free health care and the lot. On top of that they have a couple more things that would beat the regime hands down. They have tureta (old age pension) that the regime abolished, they have internationally recognized higher ed. that the regime abolished, their citizens can handle hard currency that the regime banned, their citizens can apply for exist visa that the regime banned, their citizens can apply for private business licenses that the regime had banned between 2005 – 2010 and hard to get now, their citizen can import/export that the regime banned…. 5 – The aim of the debate is not so much as to convince you rather to discredit what you are supporting in the eyes of other readers. You are helping greatly by having said everything to extricate the regime and Nothing (or just accusations) against the people. Your regime has no budget, that is freaking illegal screaming out loud. If you don’t know how much budget was allocated to a ministry how the heck do you figure out that how much was embezzled? The regime created a whole economy run illegally and you have callously and chillingly accused the PEOPLE who are doing what they can to get things going. The exchange rate issue is too late to be discussed. The regime never adjusted it since the late 1990s. All Eritrean businesses in Juba and other regional African countries rely on Ethiopian banks for their financial transactions (including some of the PFDJ front companies). It is shameful to be Eritrean and engage in business in those places. I don’t run my mouth about Ethiopia this Ethiopia that because I KNOW the facts on the ground. The regime can’t adjust the exchange rate, it is cornered! Impossible to do, what are you talking about? Economic melt down or what? Aha!, see now you are learning. You are welcome. See, some people just need some slapping otherwise they don’t get it. Unfortunately you happen to be one. Gradually you will learn that, in a cyber-world you cannot assume you are the smartest in the house and feel to be heard all the time. Or what you are saying should be read by everyone. People read what they want to read, and interpret things the way they wanted it to be interpreted, etc. etc. So, the “Haile, Haile, Haile, jerry, Jerry” thing is simply done by people smarter than you, pushing you in the direction they want you to go. As it is, you have two axes with two motors on each axis; one is being run by awate team. I will let you figure out the other driver for yourself. The “hallelujah guys are just boosters. “….I don’t know why I write the herein below stuff… may be I am surprised not to seeyou’re your usual, sometimes overly interventions. Your actions in this particular post, regarding Eritrea vs. Ethiopia, where there was a heated discussion, where people were defending Eritrea against foreign elements (and strange creatures) who strongly found it easy to come all the way here and trash our Eritrea , our values, our history, – You proved to the whole forum that you actually are a “CHICKEN S***”! And on whatever tiny bit of comment you offered on this post, disgustingly, your meekness was projected, God! And you got the audacity to look as if you are strong and look like you are a man of values when the topic was slightly changed to what Meron calls “Your comfort zone” – and you still expect people to play your broken record ;lala lala. Compare your actions on this post to that of SAAY…….then, well then use that dull knife on yourself…Don’t worry that knife would not cut a butter…, I said it is dull, right? so go ahead …. No, hold on – call me “My God”. No? Come on, It is only fair. For better or worse, I am the reason for the creation of the useless you, remember? Ok, let us tone it down a bit and just say I am the excuse of the new you to come out – because the way I see it this rotten side might have been there all along – hiding. Can you give us a timeline as to when the future haile would come out? Or what excuse or outside force he needs to come out? We definitely know there is another you. Hidrat – watch out! A flip flop never stops flipping. “Saay, please, please don’t criticize me ….I have some more to say”. Remember that on the other post? May be you thought people will never notice……. Talk about meekness! Sheri ……. By the way, what part of “Next “don’t you get? What? 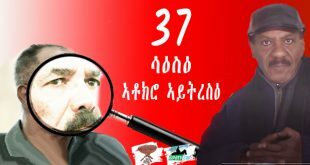 Haile, dude, you are already dismissed…..
– I read some interesting points from Mussie on Hidrat and strong complement from your side on the same issues. I was really expecting Amanuel to encounter straight and prove himself right. But his didn’t, instead he choose a escape from that by asking refuge on Sal’s trust-sheep – read his reply to you and Mussie through his post to Sal. – Haile the master of ‘nay coca cola elal’ suddenly happen to be the powerhouse of the detached vagabonds and get honored for arguing against the very substance he was making few months a go. However he has badly failed to feel the information gap this web has been suffering for years. Asmara let me tell you this, though i don’t have respect for his luck of principle and too much focus on unsubstantiated issues and ‘tirke mirke’ i really enjoy his encounters. To be frank with you he and Sal are helping me in my endeavor to improve my Tinglish (as they say) to English. See there is no zero some game in debate and i am learning English without dedicating my life in Anglo Saxon countries. – Asmara I always enjoy your encounters though you are tone wise a bit harsh to these people. I understand their motive for the “Tihisho.. Thihisho” wedesa among themselves when you are at their neck. No matter how interested they are to declare that they usually win the debate, i have never seen a looser in this virtual world unless one wants to be a looser. I wonder why the adminstrators of this site censor some comments (and yes, nothing un-lwaful content associated with them) and allow all these Eritrea bashing garbage to go on and on?? What a waste! I don’t think it is wise at this stage to ask Eritrean to sign petition for Ethiopia as the wound still is fresh! Ethiopians are more in number than Eritrean and are cabable of gathering enough number for the petition. You can’t write an article like this and just sit back! I wish you and your good friend came up with a proposal to engage Eritrean on peace and reconcilation for the region as part of your organisation or otherwise. This is what i believe when i defend Ethiopia. What King Haile had done to unite Ethiopia according to the time and the circumstances was correct decission and was accepted by both parts and majorities very well. What the few rebles started to take national matters in their own hands was illigal and the king dicision was correct. Even now in this modern time any rebels who tries to do the same thing would be confronted alike. Look how tplf and eplf treats the afar rebels. And the militaris who waged war to irradicate the rebels were only doing their duties. We have to bare in mind that the forgine involvement to their own interest both the west and the Arabs (not forgetting the east). Be it in mengistu, The King, Tplf time all atrocity done on civiliance to accomplish the government end goal must be denounced. This applies to all the rebel Groups too including using civilianc as shild. Be it government soldiers or rebels all atrocity they have done driven by their own free will must be denounced. And i dont want the somalians to be treated as second sitizen in Ethiopia and the same goes for Afar. And i dont want any Eritreas ethnic Group be it majority or minority decide on afar People. Afar has its own state. And it is eri-afar People who decide to join their state or not. I dont agree With People who oppose King Haile and at the same time they are against the unity of afar. Why do we want that Our government do Our dirty work? Can one claim to be a real eritrean without having ethiopian ancestors ? I know for sure that one can not be a tigrigna ( eritrewi tigraway) without being an ethiopian. In other words, we were ethiopians before the creation of eritrea. There was not Ethiopia before the creation of Eritrea. Ethiopia is as also as Eritrea – period. You are creating new history to cause problems for the next generatio. Why should i create while the fact is there? Ethiopian borders are colonial borders similar to Eritrean borders; they both took their statehood shape with the advent of Europeans – scramble for Africa. And if you want go back beyond the advent of Europeans you can come up with this or this king in this or that area, this or that heritage from this or that time and from this or that feudal or kind and from this or that ethnic group – not Eritrea or Ethiopia as such. know it – your modern history is hundred plus years old. However if you want to count from beyond it you can even start it from 1.5 million years ago and write it as if it is yesterday’s history beautifully – actually not new in Ethiopia. Eritrea is a creation of Italians. The fact Ethiopia was an old country older than most nations in the world disproves the Eritrean nationalists claim of Eritrea being separate from Ethiopia from the beginning of the world. Thus in order to justify their lie they go an create another lie that Ethiopia was also created when at the same time Eritrea was. This is the slave mentality in action. 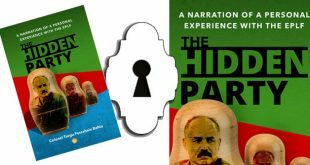 Eritrean nationalism is not only rewriting a shallow and disgusting history of Eritrea, they are also writing Ethiopian history. It is unfortunate for both Eritrea and Ethiopia there are people ignorant enough to believe such story. You got to read and re-read history. Eritrea ws created out of ethiopia. One can not therefore be an eritrean without first bein an ethiopian. Last time a man reduced the cradel of man kind Afar to the cradle of eritreanism. The same guy thinks to mutiliate afar People like a piece of cake between ethio-afar and eri-afar. Just becasue tplf and eplf wouldnt agree in 1998 afar People can not joine their Family. Imagine if that war did not occur! What ever the twp parties do in their respective troffies but afar People could have developed their region With out the interference of 100,000 soldiers at each side of the boarder which physically separate afars. 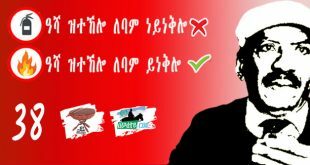 Who cares as long as eplf and tplf have what they wish or can! Last time I questioned your honesty, this time I am sure you are dishonest. The man stated that Afar is the cradle of Eritreanism. The man’s subject was Eritreanism, you twisted the subject matter to mean Afar. You are also dishonest on a second count: the man has nothing to do with colonial boundaries, he didn’t create them. If you have any objection, you should ask your friends with whom you dine and wine, not this man. But do you know you are as annoying as the Norwegian winter? By the way, how is the weather in Norway? NB: if you have issues with me, state your points and let’s debate them like grown ups, you are acting like some high school children! Stop nitpicking senseless points that shows your shallowness. “One day”Tamrat began writes about the girl.But Mr Tamrat the girl bled three times and the last it was so effective but after 13 yrs she felt best.From 40s ’til 90s troubled by violent,pain,blood,death…. Tamrat where are that young?She is Eritrea”Ruth”.What are you up to,for what you wished to see in their tragic theater was not life as it is.An old peasant and a sick man(Ethiopia)holy images, to this blaze of glory Eritrea?This old man now he had learned when the doors of his place were closed.An old man of 3000 yrs much addicted to gambling who had recently made himself notoriously ridiculous by faling head over ears in love with a lady 3000 yrs his junior. The Eritrean president initiative is a good choice, both countries need to cooperate and live peacefully. Ethiopia is at peace with all, and it is not using Eritrea or any other nation for all it’s failures and problems…Your country has many other nations to make peace with including it’s own-self before it makes peace with Ethiopia.. The same is true with Ethiopia. Well, I was so patient to give a space for Commander Salh Ghadi as He was warmed by PHDs and Bri.Generals, not to mention the Pasta -alforno in Bologna….Honestly, Ghadi’s presentation was way out of the comprehension of the participants( better to say organizers). 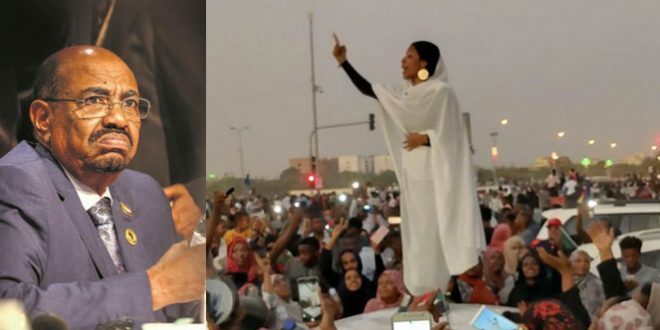 It was sensational as if it was a continuation of “Miriam is here”….However, yet I am confused as most Customary Eritreans do( for the record,I said Customary).The Simerrrism and Teshamoism are rebelling to two different extremes…Opps!! my cool friend, Semere Habtemariam is busy readjusting his Amara-hatred mind after the death of his Amara friend( wasn’t this a good move in this globalization area??)…Hope,Mr. Semere will jog advocating for Hydro-power and its benefits to North of Mereb-Melash….I am still confused on this EYSC and EYSNS stuff though. The good thing is, the so called BAYTO is dead and at least, I am out of that B’shftu confusion….. Here is a story of a young boy who fell in sight love With a pretty girl. He couldnt dare to approch her and Express his feelings because he was afraid of spoiling the little Connection he had already. Soon he found out that the girl was an ethiopian pentecostal follower. He saw the opportunity and let himself in the process of convertion of his religion by her aiming wining her love in Return. Long story short the boy turned out to be a preacher of the small pentecostal chirch and his devotion to his New relgion was so enormous that the earthly love for the prett girl had no Place in his New life. His friend used to say, man you passed the ‘love’ Chapter in Your bibel. Awate.com has passed the Chapter of the need of the People. If one sees the statistics on the most debated articles one finds that the best hits are enemity With ethiopia. If there is money from the reclam on this sight the most many is made is from hate propagation between ethiopia and Eritrea. corrected, please ignore the mistake. Semere: do u enjoy Amharic music ? The Q was to Semere, the writer who said he is neutral about Amharic the language. How about the music? Since I didn’t see u make the claim LT, you need not respond, otherwise, your urge to respond may reveal what may be hiding. I don’t know why I write the herein below stuff… may be I am surprised not to seeyou’re your usual, sometimes overly interventions. -The two sisterly people will or ought to be live in peace and tranquility for eternity. –	Both parties need to respect each other and Ethiopians should move out of our way to build Independent country called Eritrea. –	No matter how dark the Ethiopia’s successive regimes have committed atrocities, demolished our country and elapsed golden time to development we do not ask them compensation or apology for the sake of mutual progress of the two people. –	And now after all that blunder made to get access to the see he said just leave our land this moment then sky will be the limit for the cooperation of the two brotherly people. If sovereignty was naturally guaranteed states would have not train millions of citizens for military and spend trillions of money of artillery through generations. Respect to the sovereignty of the neighborly country and obedience to internationally ruled border are the mother of reconciliation and peaceful coexistence. Reconciliation under the violation of sovereignty and international rule is only possible in the world of hypocrite you are living in. First reconcile with your sovereignty then your country then we can join you in that lasting trip. If your objective is to help to unshackle the Eritrean people who are being emasculated by one of the worst forms of modern day dictatorship, there is neither the need nor away to convert into. You ditch the Eritrean people and agree with IA regardless and you are assured safe visit home anytime. You ditch IA and stick with the Eritrean people, you’ll lose your right for a safe trip home! What he said is what he said. And what you picked is what you want to listen for whatever reason you have. That brilliant analysis of him is way far from what you want squeeze the whole idea. In my understanding it is nothing than ‘i don’t have new thing in dish with regard to that case, however if mutual respect and obedience to the international rule is assured let alone electricity we can import laborers even from our neighbors in the south’. You disagree and I disagree with your disagreement – let’s live that hanged there. I don’t understand what people are you talking about. If you are talking about the very people of Eritrea living in the horn of Africa or in diaspora legitimizing PIA’s leadership it would be difficult for me to comprehend your depiction. You pulled all the people on your side and portray as if the president is there alone in the air. If the very Eritrea people are at your side how do you think PIA could stay there this long and strong in power? Do you mean I am capable enough to save that guy against the entire nation that sided with you? I definitely have my share of criticism and dissatisfaction with what is going on in the country as I also have appreciation to many things so far has done against all the odds. You may believe that you can make the things you want can be done through conversion and joining hand on the old mantra of some quartets here in the diaspora. That is fine but I want you know that the reason I am not going to convert just because I require more from the Gov. (let alone me, an ordinary criticize, PIA himself require more from his government) I know the limitations and challenges up there form the very beginning and still firmly believe it is those very people up there including PIA are the ones who can make it happen in whatever way. I am not going to convert in order to capitalize on the weakest links of the Gov. in this quartet of the world; instead I will resume maximizing my input in the very constructive way from inside (from inside of the peoples journey) and hope that could add up one brick for the wellbeing of the country throughout my life rather than digging the basics of the nation for God knows motive and change mantras of the sellouts. Thus my usual visit to Eritrea (by the way I only back three days ago) has nothing to do in PIA’s power but support to the family I love most and the country I paid my share to defend its territorial integrity as a foot soldier alongside of hundreds of thousands if not millions. Hailat pleas finalize your ‘silent majority’ conundrum which you have promised to me few months back, and I wish see you substantiating your hilarious claims that PIA is there because of Ethiopia’s occupation and will done if they go. “I definitely have my share of criticism and dissatisfaction with what is going on in the country…” No kidding, right? Let’s not brag about something we don’t have please! You see, even the definition of 100% becomes murky when one is under fear induced duress. So, your challenge is to tell us what are your share of “criticism and dissatisfaction” and prove to us that you don’t ditch the Eritrean people in Eritrea when addressing them. Please remember, you do this at your own risk and myself is not responsible for the consequences. The border issue is an important battle ground for pushing the regime out of the disillusioned diaspora. Its whole infrastructures of diaspora control needs to be demolished so that you can speak with confidence and deal as equal partners in nation building and you can air your “criticism and dissatisfaction” with human and citizen dignity. Why would the regime give a rats behind to your share of “criticism and dissatisfaction” when it can reduce you to a free labor organizing committee right inside your diaspora turf? You are a toothless, ineffective, coward that wouldn’t scare a timid stray cat as far as the regime is concerned. Please think of F.E.A.R and reflect on how it is controlling your behavior vis-a-vis the regime’s atrocities. Else, just ditch the Eritrean people, that is easier and hassle free (after all who cares about them when you can get a free pass to visit them now and then and see them suffer). I have to thank myself on your behalf for opening you way-out to make your familiar intervention boldly. Now you brought your sharp knife to slice me along the president so as to deviate the very hot discussion in the forum to your new comfort zone. Off course you have the bravados of all the sellouts and ‘the born to oppose’ – I mean starting opposing before independence, abstained from casting for independence and acquired the Eri ID very late if they have at all – in mind. Let me be firm on this, let alone me ordinary citizen the president himself is not satisfied with his government and he has his own share of criticism to the system where you were glad about it a couple of weeks ago. This system, as any system in the world, is not a perfect system? However, though evolved much in history, that is also natural, it so far have proved that it is the only real choice for the country to defend itself and gradually leap forward to whatever list of changes you have – time will be the solution. As to your ‘fear’ factor drum I believe it is absurd for two of us to talk about it as both of us are debating here behind the fake names. It doesn’t mean you are brave and prove your courage to the Eritrean people because you talking here loud enough. Let alone you living the same life I am living here those who have fought for 30 years and are still serving with meager salary from bottom to up (up to bottom –.. accommodating your feeling) in the public service are not dare to claim the courage you are claiming in here. Ah I feel you are getting hugely contradicting yourself. In your first post you have claimed the whole population of the country is at your side however you fail to substantiate it even with a single point of argument. You may came up with long list of shortages of stuff in the country which the president himself have talked about in his last interview with Eri-TV. But that could not support you or help you to claim that the entire population shares your political view (I think you are still crafting it). Don’t please despise those 60,000 civil servants and the hundreds of thousands of nationals in the defense are clue less animals. They are human beings like you; they have the same aspirations in life; they know what politics is, what kind of system they have and are restless to bring better tomorrow even at the expense of their basic needs in life. Even if they go out of the country they know why …. Hailat Aytigage, the country is running by those who are sacrificing their life, age, dreams, aspirations… Whatever we do from afar is just auxiliary and cannot make or break the very system no matter how confused or not we are… and they are the once who can clear the sky confronting with the odds. I definitely have my share of criticism and dissatisfaction with what is going on in the country as I also have appreciation to many things so far has done against all the odds. 1. Do you think you have the right to express your share of criticism and dissatisfaction to the government publicly, in Asmara? 2. Whether you exercise this right or not, do you think your fellow citizens have a right to express it to the government, in public, in Asmara? 3. How do you think the government treats a person who publicly expresses his/her criticism and dissatisfaction? 5. If so, what is the mechanism the citizen has to make this happen, i.e., to fire the government? That is hilarious! I mean, really hilarious! Let me get this, you want people who you think are standing for Eritrea and the Eritrean government to come all the way here and justify their stand to you? Now, why would they do a crazy thing like that? Again, that must be the joke of the season….! Well, yeah, actually I am. Nitricc is a man of his words and he did do a lot of trash-talking (ker-eyeka iye sraHka) so I expect him to deliver. I have “known” Nitricc for some time. He has a tendency to disappear to remote places to calibrate drones and then he arrives just in time to tell us how The Man is standing up to the Hegemonic Powers. ab dukan hgdef zelo mtEtstsaf temen Aykielon. 1. I arrive from Asmara 3 days a go and witnesse the people to share their criticism in every corner of the city – This is my ‘Godena Harnet’ account. I wish you to witness it yourself. 3. This has nothing to do with national security that’s why they are there living their normal life. * Weyane connections, smugglers or connectors has nothing to do with this. You do know that most dictatorial governments (not Eritrea, of course) label almost everything “national security” when they want to stifle debate and criticism. So, if someone wants to say it is insane to arm old men to be wardia or, what the hell, the government has failed miserably in making the people feel secure in their own nation (national security) would that be of the permitted or Haram kind of criticism? So, you are saying: since you as a citizen have no interest of firing the government, you don’t care about how other citizens who feel differently should come up with a mechanism. Are you saying you are indifferent to whether they work with Weyane, on their own; peacefully, violently? You are indifferent whether these citizens–which includes government officials, soldiers–find a way to fire the government? You are indifferent to whether the president, as a citizen, fires himself for failing? How low can anyone go? I say this dude has fallen to the pits. Condition based opposition*, is what you can say about such people. No firm stand. Something personal definitely happened to this dude a few months back, something on personal level, not something on a country level. He talks a lot about some investment – something like “Genzebna chah zebelna alona”…something to that effect. It got to be, otherwise how can anyone shed all the principles one used to follow for years and years that easily and go in reverse. Changing his attitude or stand towards the Eritrean government is something, to embrace without any condition, all the things and people he used to have a totally opposite views, without any condition or without any change on their part, and above all to embrace foreign elements, and stand against Eritrean when it comes to Eritrea vs outside is so pathetic. Add to that the fact he confessed for meeting the human right rapporteur and filling her in with stuff that we eventually had to read as a report, on top of that that document is being used by him again and again in anything he is saying here – as an indicator of “regime dying”…is something….I mean there is something stinky here. And his sense of urgency is an indication of something criminal happened and needed to be covered up or something. How low can anyone go? I see you are still oozing nonsense freaking yourself out over nothing. The human rights rapporteur thing is the first of its kind by which the Eritrean regime is officially scrutinized for its malpractices inside Eritrea and against Eritreans. In fact, it puts a direct challenge on every victim of abuse and witness of an abuse against the Eritrean people by the regime, to communicate it therefore the case of the Eritrean people is presented before international panel not the special court of your regime. Loss of investments, well that was way way long time ago than just few months back. Mine is relatively small compared to others who are still held up. I am just sharing this for your reading pleasure as nothing uplift you more than the humiliation and denigration of the Eritrean people. You ooze a strong smell of the rotten core of the regime. I worked very hard (confronted at times) against those I thought were representing the organized opposition. I came to understand that they weren’t, they were just like me opposing the regime and were representing themselves here. What is the point of disagreeing with them when they represent the same aspiration. Of all people, how could you, of the lowest IQ, be the judge of others. Mind your business, would you? Suppose the regime of IA is violently overthrown anytime soon. What would you do vis-a-vis those you badmouth here and Eritrea? So, if you gonna talk to them then, why not start now? I am pleasantly surprised to see that “Papillon” is posting comments recently again. I made a wrong assumption a while back and declared that the lady was banned from the forum for raising an issue on her last posting prior to resurfacing now. The Moderator was fit to be tied and told me so in no uncertain terms. It is good to see her back and say things that needed to be said in a sane and grounded way. She was missed. There are some people here on this forum that I respect, admire and reflect on topics they write about. Another one is “Horizon”. He sometimes has a way of removing the clutter and mumbo jumbo to point out where we need to look. I thank you for shining lights on and sharing common sense. Don’t accuse ppl falsely. And if you do, follow the three simple steps: acknowledge you were wrong, apologize, and move on. Sal, Bullet style is fine, bullet is not. This one is easy. I don’t even need to use myself to answer that. I’ll use you, Sal. After asking that question- a few lines later, you wrote this: “Intra-Eritrean reconciliation and formula for governance must precede any reconciliation with Ethiopia, simply because those Eritreans who speak on our behalf when reconciling with Ethiopia must represent all of Eritrea and not the Eritrea that the Ethiopian ruling class always imagine in their head.” What does this mean? It means, according to you, Sal, there are preconditions to be met in order to normalize relations with Ethiopians. It means either those conditions must be in place, or relations with Ethiopians must be differed or postponed indefinitely. It means Eritrea has to be made strong first and Eritrean should speak with one voice when dealing with Ethiopia so that the Ethiopian ruling classes would understand the real Eritrea not the Eritrea they “always imagine in their head”. Your argument might have made a little sense had you been mistaking Ethiopia for a UN body. But Ethiopia is not a delegated entity. It is a country of diverse groups and interests, just like Eritrea, only bigger in size. There should not be any precondition, there should not even be any calculated and politicized positioning to be willing to promote sisterly relationship between these two neXela mendeQ peoples (someone- haile- send me a link of Barya’s song). The kind of relationship we’re mostly interested here starts at grassroots level that grows very organic and strong to eventually influence and engulf policy makers to follow suit. Let’s not complicate it. Let’s reduce the number of people who think and act like Tsega, Dawit, Issac, Araya, Asmara…Lets increase the number of people who think and act like Ato Kidane and Semere. Then, people like you and Eyob…Do you really believe in pending your readiness to go half way to embrace Eyob on a precondition that you need to do that first with YG, so that you go back to Eyob with a collective voice? What for? Are you so worried and afraid of the Habesha value dwarfing down the non-Habesha values of Eritrea if hastened rapprochement rolls soon? 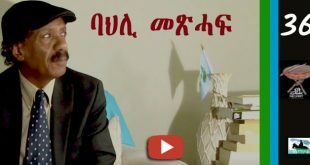 Do you think you need time to put the non-Habesha house in order first so that it would be able to play a hardball if a push comes to shove? Is that what it is, Sal? And mind you, one of the issues that keep on dividing Eritreans is on how to fix the relationship with Ethiopia. That means it would become an obstacle by itself (sort of a back-door precondition) to even bring about the intra-Eritrean reconciliation you said it should come first. Come on, Sal! IF you were championing initiatives for reconciliation since 2000, you should be encouraged to continue doing that. Your contribution in that direction is even more needed now than ever. There is nothing wrong with a people-to-people, grassroots level connection. But let’s take a vacation from lala land (how is the weather there, btw) and stop pretending that we have democratic governments that are influenced by the opinions of the people. 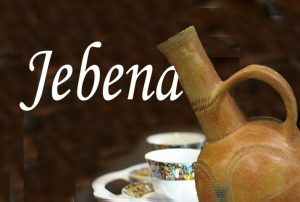 Wrong website for the “habesha”-“nohabesha” dichotomy, you are thinking of Asmarino:) Leave sentimentalism aside and deal with the facts. This is our history: in the 1940s-60s, there were advocates for unity (reconciliation) between Eritrea and Ethiopia. Not unity, but oneness. Those who didn’t see it their way, got massacred and exiled. Then the oneness was gone and we had a war. Between 1975-97, there was a virtual confederation between those who ended up ruling Eritrea and and those who ended up ruling Ethiopia. They co-operated in the destruction and arrest of each other enemies, they helped in exiling and disenfranchising their own citizens. Then, since 1998 we have been in a state of war. Now comes the sirens. Ethiopia has had 20 years that it used effectively to help bridge the differences among its own people. (How successful that’s been, I will leave it for Ethiopians to judge.) Eritrea has had 22 wasted years, where the relationship among its people has never been this polarized. We need to work on that. We all don’t know what we don’t know. What one doesn’t know can not be knowable to the same subject. And what we don’t know is always much more than what we know on anything under the sun. But, knowledge doesn’t stick where it originates. It is contagious and it passes around. If you have it, pass it over. But, you can’t simply make me doubt what I know because you subtly implied that there is way too much that I don’t know yet. We just act on what we know. The 22yrs you mentioned were not wasted on trying to mend a relationship- not despite that nor because of that. 22 yrs were wasted regardless of the relationship. For some of us who see a relationship with a look-alike people as resource and not a curse, those years that were not used to build the necessary people-to-people relationship are wasted years, too. How so, Rodab? What makes me a trouble maker: the fact that I’m gual memhr or because i said or did something wrong? Good Job brother! You are candid and awesome; you always stand for the truth, your people and Eritrea. Don’t pay attention to those crap commentators. keep it up. Interesting to read “your people and Eritrea” I wonder what you mean by “your people”!!! Take it out girl, say it! Good relationship between two neighborly counties sounds good. Very good actually. Spreading love among, not only neighboring countries, but also between the people of the whole world, is also a Nobel act. No question about that. Now, somebody out there, please help me translate the “call for love between Eritrea and Ethiopia” that Hayat, Hidrat, Eyob and the likes are telling us here, into something tangible and workable thing or meaningful thing. -THAT IS THE ONLY SOLUTION THERE IS…etc. etc. 2.Ethiopia to will think of compensating (officially and genuinely apologizing…) Eritrea for past crimes committed by Ethiopians? (Semere’s next project is going to be that, right? Got to be, right?…Anybody?) errr….just pulling your leg…let us focus on number 1, for now. While you are at it would you care to explain the following? When you say “brotherly people”, “fraternity people” and things like that, you are talking in terms of relationship between two NEIGHBOURING counties, as in the relationship between US and Canada stuff, and not like.. China saying Taiwan is still Chinese…..stuff, right? You didn’t get our syntactical argument. Eritrea is a sovereign nation.Nothing could change that reality.Period. What it needs now is a leader who believes on peace and development,….a leader who cooperate with the nations around us and work for mutual interest….a leader who sits on a table with his adversaries and solve the differences they have…..a leader who understand the grievances of our diversities and devoted to address and resolve it. Eritrea lacks a leader who could translate or materialize this noble ideas on the ground while at the same time protecting the interest of our nation. Having this principled argument doesn’t make you in any way defending the interest of Ethiopia. Asmara I have given my share to the birth of our nation and you can’t be more Eritrean than me or anyone for that matter. One more point again, you are bitter on the conflict of Ethio-Eritrean border war. I was against it from the beginning to the end as I was against the Eritrean civil war of the 70s and 80s – all on record books. But I don’t live on the bitterness of the past. I live on the present and the future on how our people live in peace, stability, and prosperity. As an ELF fighter, at this particular time, I don’t have any grudges on the past history on what EPLF has done in collaboration with foreign force in 1981. None at all…that is part of our past negative history. The same thing could be said to the Ethio-Eritrean border b/c it is part of the negative history of the two nations. I don’t dwell on it, for this one also became past history (though recent). My voice now is to heal these wounds and demand this fraternal people to live side by side in peace and prosperity. That is the difference between you and your likes with those you accused us (Hayat, papillon, myself) as Ethiopian wana-be. We will continue to signal openness to a diplomatic deal with our neighbors and of course with prudent moderation. “…Asmara I have given my share to the birth of our nation and you can’t be more Eritrean than me or anyone for that matter.” That is a powerful case for the need for mutual respect among Eritreans. I hope it grows in measures and bounds to open up room for dialog. We hope that whatever the awate 7.0 is having in store for us would serve the purpose. Amanuel please be honest to yourself, if you have no bitterness and grudges how come you never set your foot in Eritrea since 1981. How come you never care to vote on the Eritrean referendum 1993, if you so much for Eritrea Independence. why you so afraid to say TPLF instead of biting around the bush and confuse people by just covering as some nameless Organization. ” collaboration with foreign force”. Amanuel tell us the place and bates you fought against the real enemy forces(Not civil war) as ELF fighter. in fairness, I will tell you the place battles I fought and the Meetings I had with commanders like Mahmmud Haseb and Idris Abdulah as ELF fighter. by the way Idris Abdulah was my source about the 1969 Adobha conference as you were so curious and dying to know last time. When I think of people in this forum, regardless whether they use their real names or not, I always think in terms of “Nic names”. Meaning I was always dealing and judging the commenters according to what they say here. So if any one decided to use his/her real name, it means that someone may get the benefit that might be gained by doing that, whatever that might be (Like … I was an ELF tegadalay stuff you just volunteered to throw at us here), but on the flip side he/she had to be ready to bear all the s**t that might come with it as well. Right up to now, Amanuel Hidrat was the “Hidrat Dude” to me, as a faceless commenter with an acute subordination to Woyanie, and crappy sense of Eritreansism. Meaning, I never have to know the real Amauel Hidrat to comfortable judge this dude have some issues when it comes to Ethiopia, and definitely falls under the group what I call “shoot –to kill”*. This had nothing to do with who you are; it was solely based on the cr** you were puffing in this forum. –	Think about it, useless to Ethiopia as well, as nobody loves subordinates. No body respects anyone who doesn’t respect himself or herself. Common, you can do it. Chop, cop…. An advice for you, it is only in order, right? *To me those Eritreans that I call are at the very bottom of the ladder of Eritreanism are the ones who chose to be Woyaniea Subordinates. Subordination on its own is bad enough and un- Eritrean enough, let alone to bend so low and be Woyanies side kick. Tigrayans who are here to try to beg forgiveness for Weyane and Tigrayans for what they did, you are wasting your time. First and foremost, leave the sovereign Eritrean land you are holding illegally! Just leave! Even if you dipped us in honey (ab meAr tetalkuna) we will never forget the past atrocities. But for now, leave our sovereign territory. Don’t make excuses! Just pack-up and leave! Which land are you talking about? What is clear and obvious to see in what DIA’s has done great harm to our nation , that unfortunately some Eritrean seem to overlook, goes way beyond looking at things from a narrow issue to wrecking the whole basis of Eritrea ‘s nascent bid to establishing the foundations for a Tradition of Pluralistic Democracy. By Bringing all players moderate or otherwise whose followers exist for very long in the millions to the fold of the political process as participants of a Pluralistic Representative Democracy is the more sure route to cause progress and civility and the ultimate evolution towards the edification of a consensual Civil Society. Grapping power through force and power, throwing in prison the country’s fellowmen the true nationalist Eritrean leaders of the past political party that have wider base. if some Eritrean believe that the disenfranchisement of a huge percentage of the Eritrean population from the political process can lead to the establishment of a sustainable tradition of a true representative pluralistic democracy, then, definitely, not that they and us do not see eye to eye analyzing events in Eritrea, but rather overlooking some of the basic concepts of the functioning of a true democracy. As Eritrea would, sadly and unfortunately, slip into the unknown with growing and a sharply polarized society and with a very tiny privileged military and a corrupt get strengthen, anew, their holds on Eritrea’s political life, that what going to take Eritrea to the Dark Ages since more than half of the total population, more than 2 million, are mired in abject poverty and illiteracy. I hate Amharas is now replaced by I have the ruling class Amharas. Would the ruling class behave any better if it was Eritrean. Or if it was any other ethnic group other than Amharas. Dictatorship is not a monopoly of any ethnic group. The brave haters like Semere show it openly and the other haters try to act hide it by saying they hate the Amhara ruling class. Why is the ethnic group of the ruling class important. Mengistu (By his own admission he is not an Amhara – but that is not important) was a bad man not because he was an Amhara it was because he was a bad man. Just like Isaias is what he is not because he was a Tigrean from Eritrea. The bankruptcy of Eritrean nationalism is it has no argument or vision beyond hating a particular ethnic group. Read a peper by Welo Amhara Walelenge Mokonon 1946-72 from 1968 on struggale or (Tagal/Tiglachin/ “National quesition”HHU under ground secret magazine. Read a peper by Algeria groups later EPRP “National quesiton”by Berahne-meskele Redda and Iyasu Alemayhu(Biniam Adene)in Berlin 1972. Menelik,Abieto(Lig)Iyasu,Haileslassie and Mengustu are not Amhara. ,Gen Isaias G.Sillasie,Gen Mebrahtu Fisha,Gen Iyasu Mengesh,Gen Aman Andom,Gen Mihreteab Tedle,Gen Berket G.Medhin,Gen Afewrqi W.Micheal,Gen Zerhun Araya,Gen Gebere-medhin Medhanie,Gen Mesfin Gebrekal…..were Eritrean..
Few years ago my cousin who is more into Eastern Philosophy invited me to attend Dalai Lama’s lectures as he at that time happened to be in my city. And I went. What stood out the most as I got immersed in his incredible insight was, when he repeatedly said, “Hate and by extension war are outmoded concepts.” He went on to say that, they don’t belong to the Man (a generic term to describe both sexes) of the twenty-first century. He seemed to have lent credibility to Hegelian Absolute Idealism and to some extent to Fukuyama’s “Last Man.” To be more precise, Man does not and is not evolving any more. H&H champions of Satyagraha* are inviting us to morph ourselves into the New Eritrean or Ethiopian. One who refuses to get muddy in the unbearable lightness of mediocrity and brute. In recent years, medical science as well has corroborated the ever catchy phrases in the so called “New Age Movement” where attitudes, personalities and moods are depicted in a dichotomy-negative and positive energy. It stands to reason that, when one is chronically consumed with hate and bitterness, the already metaplastic cells due to other causes in his system would get transformed in a speedy manner into anaplastic cells (full blown cancer cells). Sure enough, nations rise and fall. That is indisputable fact. As it happens, Ethiopia is going through a golden era. One can deny it till kingdom comes but that is a fact. Conversely, Eritrea is knocked down but certainly not knocked out. Her time will come. As H&H brilliantly put it, their (Eritrea and Ethiopia) destiny and fate are intertwined, Ethiopia’s rise can only be sustainable when the people learn that Eritrea’s dire predicament could be a cause for their fall as well if they elect to talk down to Eritreans. And Ethiopia’s fall could be a cause for Eritrea’s getting stuck in a dire and chronic fall as well if Eritreans capitalize on Ethiopia’s disadvantages. Neo-n’Hnan Elamanan, Tsige and Dawit Mokonen no more. *I encourage and highly recommend Awatewian to read a brilliant book titled, “The Unconquerable World” by Jonathan Schell. Brilliant recap. Hayat & horizon stood up at the core interest of both brotherly people, a position that brings peace,stability, and development in the region. Those who spew hates have no points to stand for, and those who lives on past history are condemned by the current reality and future dreams of young generations. I feel hate soo this 3000 yrs Ethiopian kids strategy story trip.Ethiopia have a long and painful illness developed deathbed canser.Ethiopia future seemed very dark now. Your “Great Ethiopia” are an old fashionable code,Your Amharik literature have no time and place,your orthodox priest church are have no characteristic of love and good reference,Your crocodile eys is empty,there is nothing you could do,but bad languagebut atleast you could talk and take you did to some many people about 3000 yrs Ethiopian history in terms to insulting people. 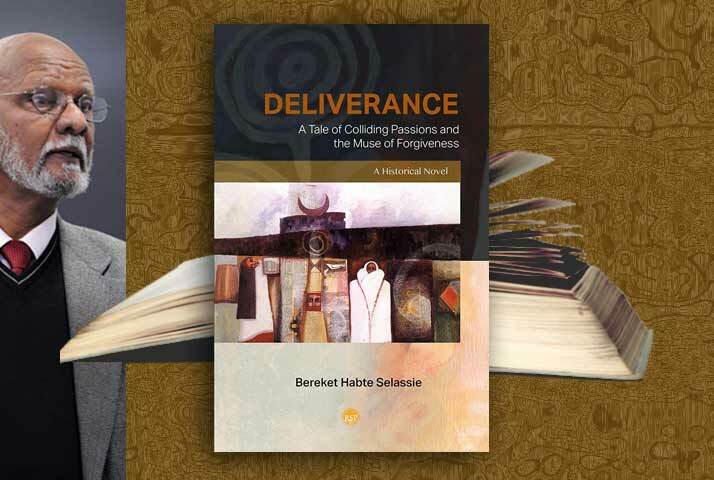 From Adam-Eva to Noah from Noah to “Dinknesh”…..Scandalous.From Your book-loving scholar Abune Tekle-Haymanot to study door Prof Getachow Haile from source maddening Prisdent Lieutenant Girma to serious business woman Azieb Gola -such people are your grand enemies. It is always hard to believe the truth.Leave this old house noooooooow!! First and formost Isaias is not a Jesus holy cross or the spire of St.Isaias or the great castle to Eritrea,but Jebha ,you,America and Sweden did him a symbol as sociological sky line.But the good part of this he built power politic place nationalist act into peasants,artisans,jounemen and from poor to anonmous majority.He enjoying and ruling you by professional order. No matter how much one tries to ignore ignorance (deliberate ignorance in this case), one can’t help noticing how this guy thinks of others when he tries to relate irrelevant issue in order to win argument..when the argument is about atrocities that was committed to a whole range of society within the then political territory that included Eritrea, he tries to bring in the holocaust to justify his selfish motive for which he used poor Eritreans to achieve secession..The point here is not to question his right secession, but why not say it as it is instead of exaggerating one atrocity over the other..adding to Eyobs point, people like Salh often boast about the 500 thousand “martyrs” they sacrificed in 30 years active civil war, but all he needs to do in order to heel his self imposed illness is visit the red terror museum in Mesekel square where he will be treated to a list of 500 thousand young educated Ethiopians who perished in the hands of Derg…the the only difference between Salh’s war and those urban Ethiopians who were fighting from within is that he was a secessionist with whole range of Arab sponsors so he could wage active war while those young Ethiopians where fighting barehanded for collective Ethiopian cause in which no foreign force had no interest.. The Ethio-Eritrean cyber-battle over the last two days, of course, one among so many that have been fought in the past and will be fought in the future, is still raging. Although unlike the battles they fought in the fields over the last fifty years, it is bloodless, and yet it is very traumatic to the aspiration of peace-loving Ethiopians and Eritreans. The past has been exhumed to be used as a weapon to defend one’s position, ethnic groups have been put under the microscope to be investigated, sliced and diced and even to be abused, and the few bridges that join these people are being blown to pieces. I do not mean that we should erase the past, but I want to stress not to use it for a negative result anymore, to dived us or put out the little flame of Ethio-Eritrean rapprochement that is fighting in the wind of animosity to light the way. More than fifty years after the first bullet that is said to have brought independence, as much as Eritreans are concerned, and has set the region on fire, as much as Ethiopians are concerned, Eritreans and Ethiopians are still at eachother’s throat. It takes just one bullet or a misplaced word or sentence to start a fire. Sentiment and not logic rules in Habeshaland. We suffer from our own sort of OCD that is characterized by a tendency to be continuously insensitive and deep down even enjoy the plight of our people, their hunger, poverty, and destruction of the little they have, and we continue to travel on the same road that has lead us nowhere up to now, as if there is no detour to a better world. The politically-oriented elites (whatever they may call themselves) are pyrophile, boastful, clueless not knowing the priorities of their people and have become a weight tied to their people’s feet. Nobody seems to have any sense of time and the world around us. The world has left us behind and yet we are complacent of the situation, and being true to our nature, we are quick in giving a lip service whenever we speak of our poor people. Somebody (if I remember well a Japanese professor) had once said that Habeshas have low IQ, otherwise they wouldn’t have been so poor, suffer from recurring famine or they would have not engaged themselves in a protracted war. I was furious at the beginning, but when my Habesha ego deflated, I started asking myself if this dude was right after all. What is wrong with counting the IQ level of people using the degree of their human development? In the end, what counts is the tangible result our merits bring for our people and not the doctorate or professorship that decorates us. I think that this has helped me to be less arrogant, and understand that people and their humanity and not their identity should be the center of our philosophy. Whatever the pundits might say or do, the link given to us by Eyob shows the true future relationship of Ethiopians and Eritreans. No power under the sun would make them eternal enemies. This toxic generation of elites will pass and the future generation of Ethiopians and Eritreans will no doubt choose peace instead of war, prosperity instead of poverty, happiness instead of despair, friendship instead of animosity, peaceful co-existence instead of tall walls that separate them etc. Ladies/gentlemen, Peace will come to the valley; and this is what any peace-loving person should say. Sorry for the religious nature of the clip; just listen to the words. It is true for all peace-loving Christians, Muslims, Jews etc. That is nice brother. some days back there was a poem in Jebana ….ሓይሊ ብርዒ…. please try to read it. we can save a lot of souls and time by working for peace. everything possible. Yes indeed…there will be no rapprochement in this wind of animosity be it within themselves or others. Sad as it may, don’t have sensitivity to the plight of our people. Unfortunately there are many who are enjoying this kind of debate and don’t have an iota of care to their disintegrated people.